In Marvel's X-Men comics continuity, Legion is the incredibly powerful mutant son of Professor Charles Xavier. Over the years, he's helped save the world—and nearly destroyed it. 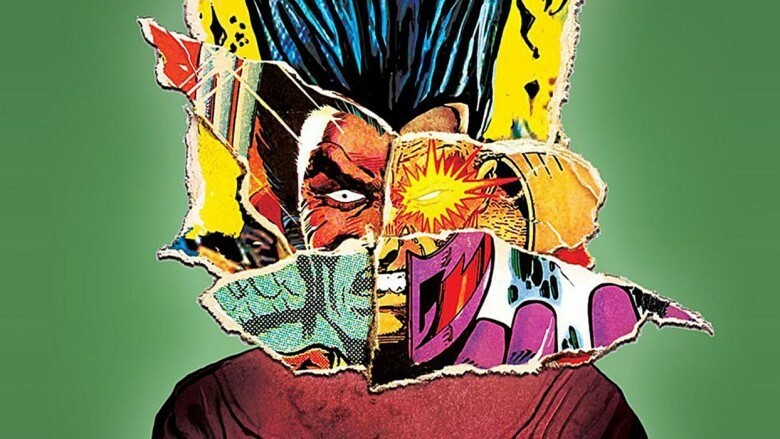 Now that the character has his own live-action series, new viewers are interested in Legion's comics history, while longtime fans might think they know everything there is to know about the world's most troubled mutant. However, there are some wild secrets about Legion that will surprise neophytes and veteran readers alike. Due to their popularity with readers (and the fun factor for writers), most popular characters seem to end up on one team or another at some point. Usually, a talented writer can find some kind of rationale for loners and outcasts to end up on teams; for instance, Black Widow in the Avengers movie sees teaming up with Nick Fury and his crew as a path for redemption. This is also what draws Wolverine to the X-Men, as he hopes Xavier can give him a new purpose. Interestingly, Legion was once going to be part of the team X-Factor, but the plan fizzled out when writer Peter David put his foot down. 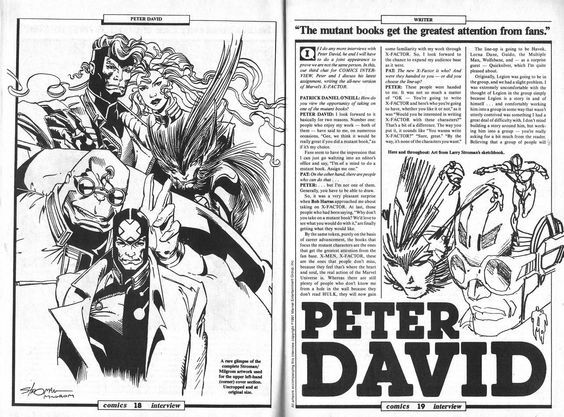 David is something of a superhero guru, and he was the architect of some of X-Factor's most memorable stories. He decided making Legion part of a team didn't make sense, because the character's mental instability is a core part of who he is. Even in a book where readers are meant to accept characters with superpowers running around in spandex, David felt nobody would be able to accept that a character too unstable to realistically leave Muir Island could serve as a superhero. How will this isolation work in the context of an ensemble-driven TV series? Time will tell. One of the things that fans of comics and superhero media occasionally stop to wonder is "where does everyone get all this money?" While some characters simply inherit sizable fortunes (such as Charles Xavier), others, like Magneto, often manage to bankroll the weirdest things, such as asteroid bases, with seemingly no funding. In Magneto's case, however, there's a particularly weird story that explains his wealth, and it all ties in with Legion's mother. Legion's mother, Gabrielle Haller, is the reason Professor X and Magneto met in the first place. At the time, Magneto was volunteering at a hospital in Israel, and when that hospital encountered a particularly traumatized woman, they called in Charles Xavier to help her out. Xavier understandably had a way with such cases, but Gabrielle ended up being different—her trauma involved surviving a Nazi camp, where the Nazis kept her alive because she knew the location of a major stash of gold. After she was revived from her nearly-comatose state, she was attacked by Baron Strucker and Hydra, both intent on finding the gold. Xavier and Magneto had their first real team-up while trying to rescue Gabrielle, and each learned detailed information about the other's powers. They also realized that their beliefs didn't really mesh—so Magneto ended up liberating a small mountain of gold and flying off, presumably to finance all of his future villainy. Xavier, meanwhile, ended up getting the girl…which ultimately led to Legion being born. Perhaps the most interesting aspect of Legion's personality is that his head is much too crowded. He has multiple personalities running around inside his brain at any given moment—some of which he's manifested himself, some of which have been absorbed into his consciousness over the years. 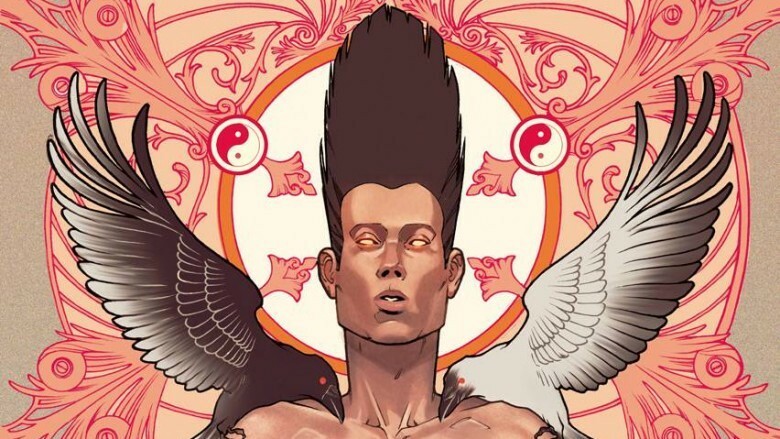 At different points, those personalities attempt to take control over Legion's body, and they also help to control different aspects of his wild array of powers. 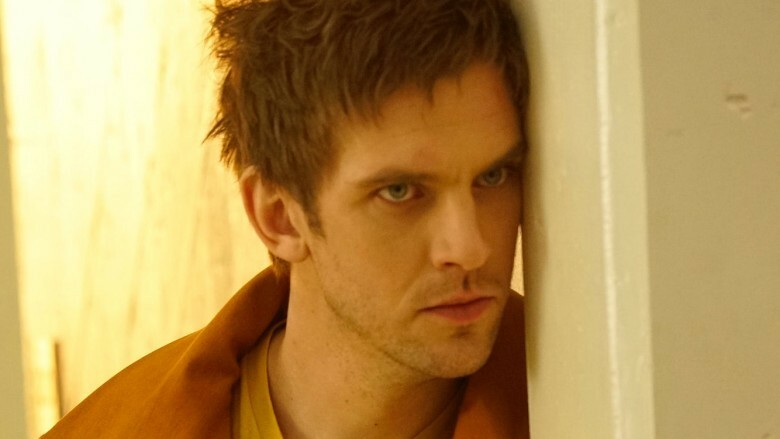 Despite this, Legion retains a kind of core personality that is essentially the man himself, David Haller. 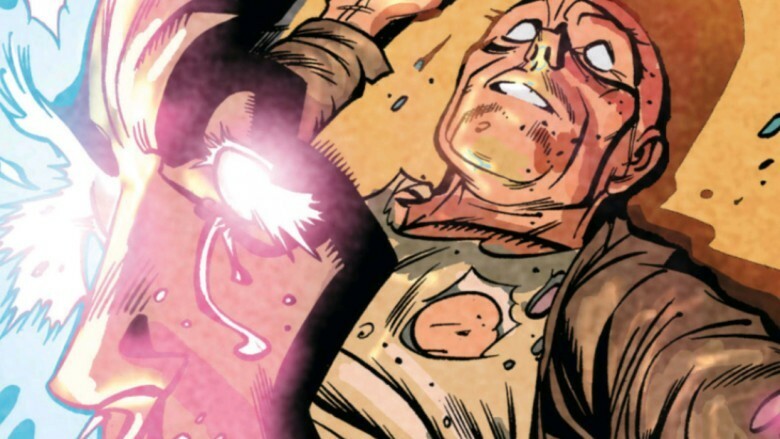 At different times, forces from within (such as some of the different personalities) and forces from without (such as his father, Charles Xavier) have helped to restore David's core self so he can function more easily within society. Without help, the warring personalities leave Legion in states ranging from comatose to autistic. Comic books and other media involving superheroes inevitably feature stories focusing on mind control. This comes particularly naturally to stories about the X-Men, who were founded by a telepath, Charles Xavier, and whose ranks often include powerful telepathic warriors such as Jean Grey and Psylocke. This all came into play when the character known as Shadow King took control of Legion—and revealed that he was a threat to the entire world. Among his other weird abilities, the Shadow King is able to feed off of negative energy. In one particularly strange story, he hijacked Legion's body and, along with the captured mutant Polaris, managed to increase fear and hatred across the entire globe. 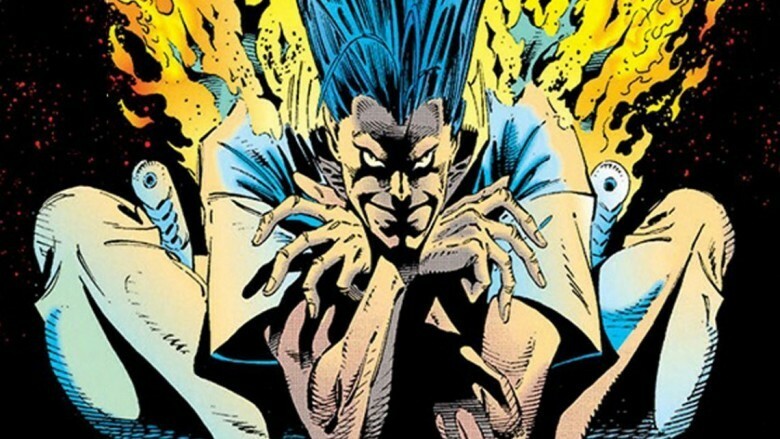 While the comic primarily focused on the efforts of Xavier and others to stop the Shadow King, it is also revealed some particularly troubling potential in Legion's powers—basically, he's always just a single thought away from turning the entire world into a life-and-death LARP of the Purge movies. Legion is a threat to the entire planet's human population, but his powers don't stop there. In fact, at one point, he even managed to change reality for the entire universe. It was meant as an act of love for his father; unfortunately, Legion ended up killing Xavier and rewriting history. How does that work? In one of Legion's more lucid periods, he was suffering rather keenly from abandonment issues. Rather than do the sane thing and start a support club for everyone that's felt abandoned by Xavier, Legion decided that if Magneto hadn't always been fighting his dad, then Charles would have made more time for Legion. His solution was simple: kill Magneto. In order to do so, he traveled 20 years into the past, but Xavier got in between Legion and Magneto before his son could deliver the killing blow, sacrificing himself and changing the future. Powerful villain Apocalypse, watching the huge fight between Legion and the X-Men sent back in time to stop him, decided Xavier's death meant the perfect time for the mutant race to rise up—and there was no one to stop him from taking over America and ushering in the Age of Apocalypse. As for Legion, he became a living version of the grandfather paradox, as he could now no longer be born because of his time-traveling shenanigans. Fortunately, he was returned to life later, after all of reality was restored. Comics! 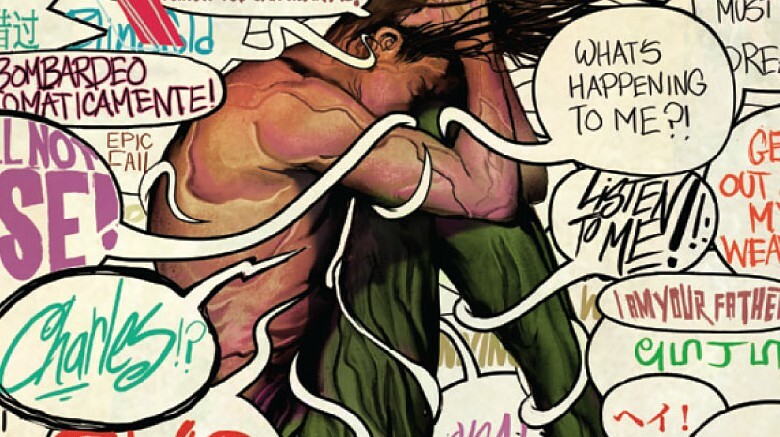 Though Legion has a very complex relationship with the various voices inside his head, there are some more straightforward ways that other characters deal with them. 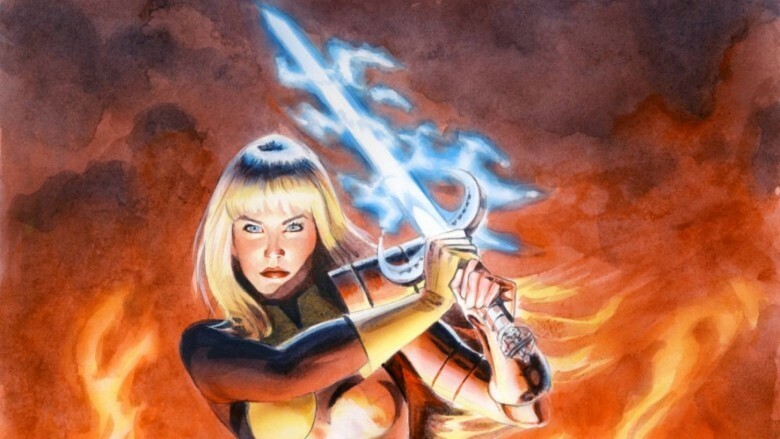 One such character is Magik. She started out as the innocent kid sister of Colossus, but spent years training in a demon realm and emerged with a battle-hardened edge and a willingness to use her Soulsword and other weapons on anyone that gets in her way. 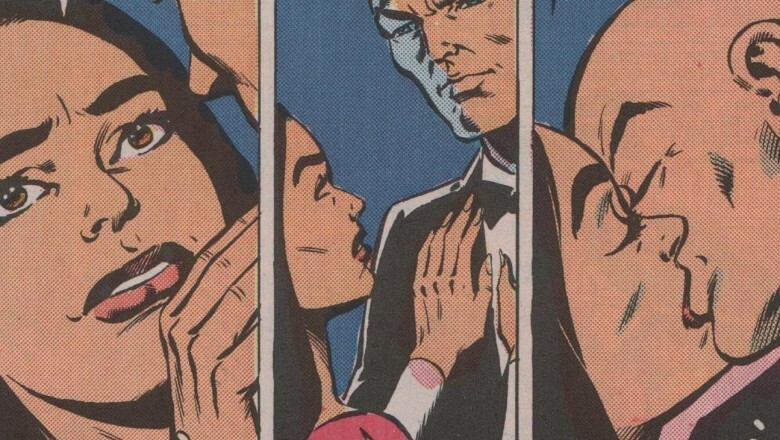 At one point, she was absorbed by Legion and ran into some of the different personalities inside his head, including Jack Wayne, who is more or less an all-around a-hole. 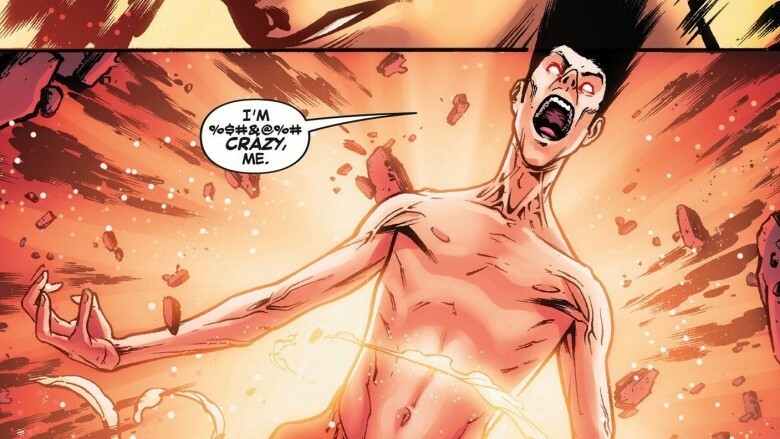 Magik was warned that killing any of Legion's personalities might kill Legion as well (and thus kill anyone trapped inside his head), but she decapitated the Jack Wayne personality at her first available opportunity—proving that it's possible for the voices in Legion's head to be silenced with violence. 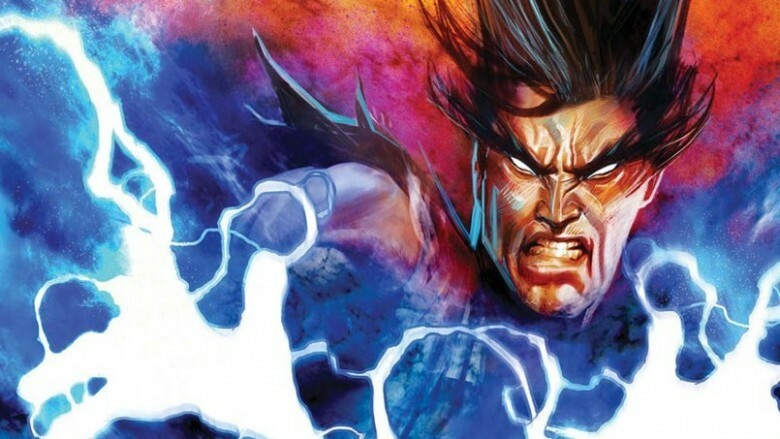 Arguably topping the list of dangerous things that Legion can do with his powers is his ability to kill gods—specifically the Elder Gods who tormented Magik by forcing her to live in Limbo, the demonic realm she was trapped in for years when she was younger. Apparently, Magik learned a lot about devil's bargains while she was trapped within a demonic realm, and she brought Legion back to life so he could destroy those gods. While the actual spectacle of Legion destroying the Elder Gods is thoroughly impressive, Magik herself is rather nonplussed by his ability. In her words, Legion himself is "the god-mutant," and she feels this gives him the unique ability to be her "message to the gods." While it's frightening to think of Legion as the face of any kind of divinity, his power to destroy both gods and men is unquestionable. It's an open secret that death has lost any real meaning in comic books. Characters once thought impossible to bring back from the dead (such as Bucky Barnes) have been successfully revitalized, and when popular characters like Wolverine die, fans assume it's just a matter of time until the writers and editors find some way to bring them back to life. Like these characters, Legion has died before; multiple times, in fact. But what makes him different from other characters is that he's actually been erased from existence. The first time happened during the Age of Apocalypse storyline. 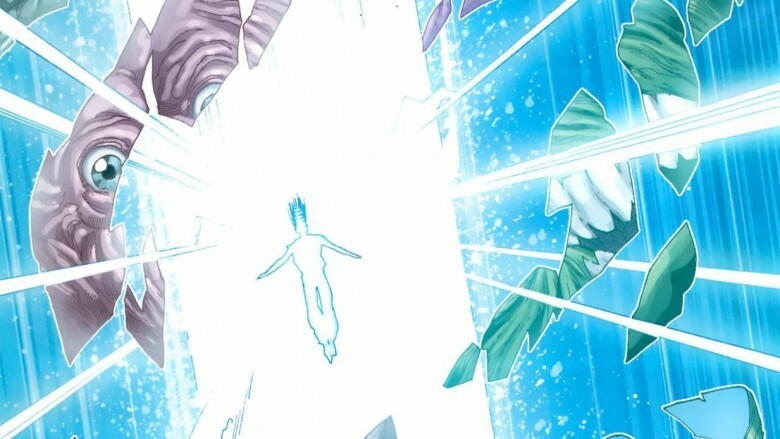 As mentioned earlier, Legion managed to blink out of existence when he killed his father years before Legion was conceived, creating something of a paradox. One of the weirder bits of fallout from this is that some of his personalities were left behind as spectral entities. The next time Legion blinked out of existence, it was by choice—he looked at the damage he'd wrought and, worrying that he'd do still more in the future, decided to erase all traces of himself. It's a moment both poetic and sad, as this is a character who rarely feels in control of himself doing something drastic to regain a sense of agency and power. Which is ironic, in a way, because Legion has never been short on powers. Most mutants just have one or two things that define what they can do. Cyclops fires optic blasts, Wolverine has a healing factor and claws, Charles Xavier controls minds, and so on. Legion, however, has different powers controlled by his different personalities, and he's pretty much a super-team unto himself. Legion has access to telekinesis, telepathy, super-strength, time travel, flight, and even the ability to change into a werewolf. If that's not enough, he's also able to draw on the absorbed knowledge and memories of his different personalities, which can allow him to call on things like special military training. The short answer to questions of "what can Legion do" will always be "whatever the writers need him to do." One of the more provocative aspects of Legion as a character is that his name is intentionally derived from the Bible. The Bible speaks of a suffering person who encounters Jesus and identifies himself as "Legion" in reference to the multitude of demons who'd possessed him. Legion's mere name, therefore, introduces an element of tragedy into his story. The biblical Legion had a happy ending when Jesus was able to exorcise the demons out of his body and into a herd of swine, but it seems that the comic Legion can never be fully cleansed of his personalities, and must suffer with his metaphorical demons every day. It's possible that his biblical name points to an eventual redemption—but until then, fortunately for readers and viewers, the character will remain trapped in his fascinating personal hell.